They were wearing weskits. All of them. That was the first thing that I noticed at Dandelion and Driftwood. The cafe itself looked like someone’s caffeine-fuelled Victorian corner store with enough technology to add a hint of steampunk. Dandelion & Driftwood is located on Gerler Road in Hendra on Brisbane’s northside, just near Mario @ the Dining Room. A real coffee geek I know, the manager of Medium Roast Coffees subscription box, was raving about the place last week, and as he both knows more than me and strongly recommended the place, I had to check it out. The staff uniforms, with a mix of ties, striped aprons and weskits, and the fully functional coffee brewing paraphernalia scattered around the store and counter were not the only noteworthy thing there. Awesome decor and attentive service aside, the coffee itself is great. 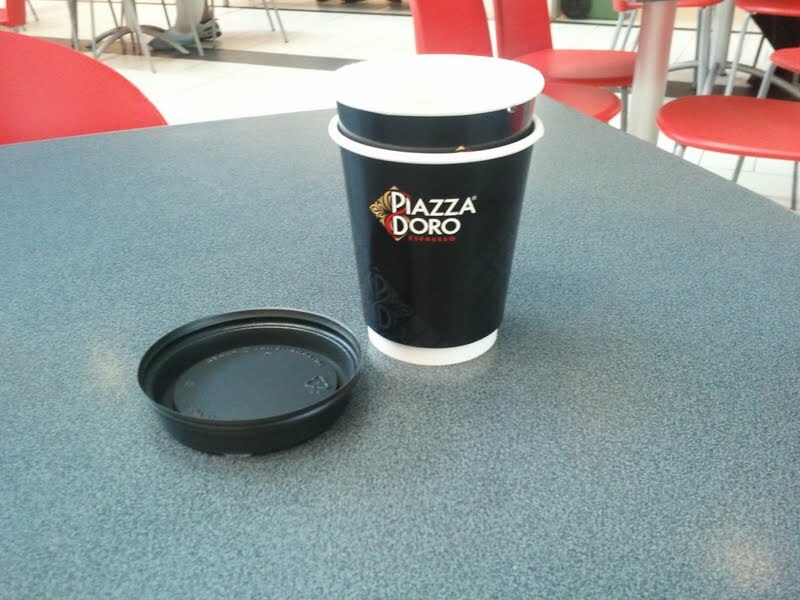 They feature a number of different brewing methods as well as different blends. First was a long black with the Driftwood blend, with a ham and cheese croissant on the side. I liked it. It is similar to most standard blends in its body and acidity. There was a card detailing the blend propped on the side of the cup, which does a far better job of describing the coffee than I could. 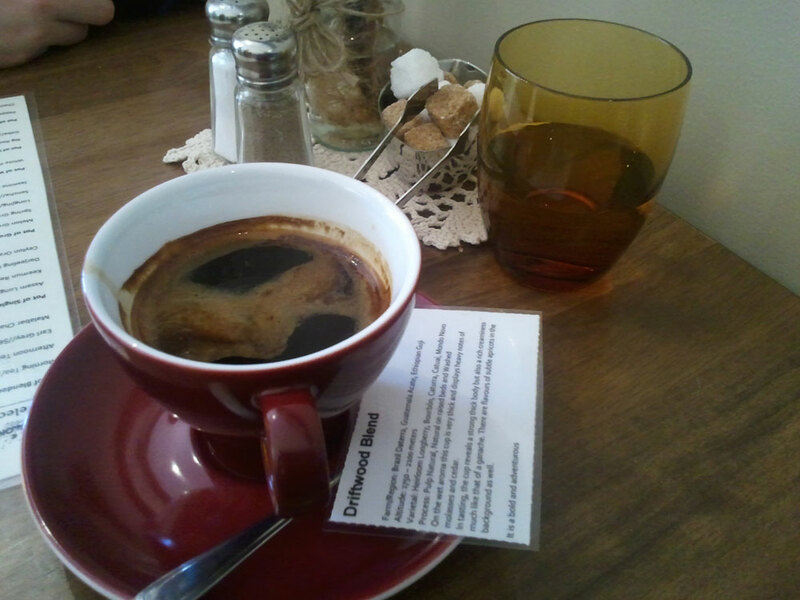 Peter, the proprietor, recommended that I try out one of their single origin blends next. They had two on offer, the El Salvador San Emilio, and another from Guatemala. He recommended the El Salvador San Emilio as the best one for black coffee. 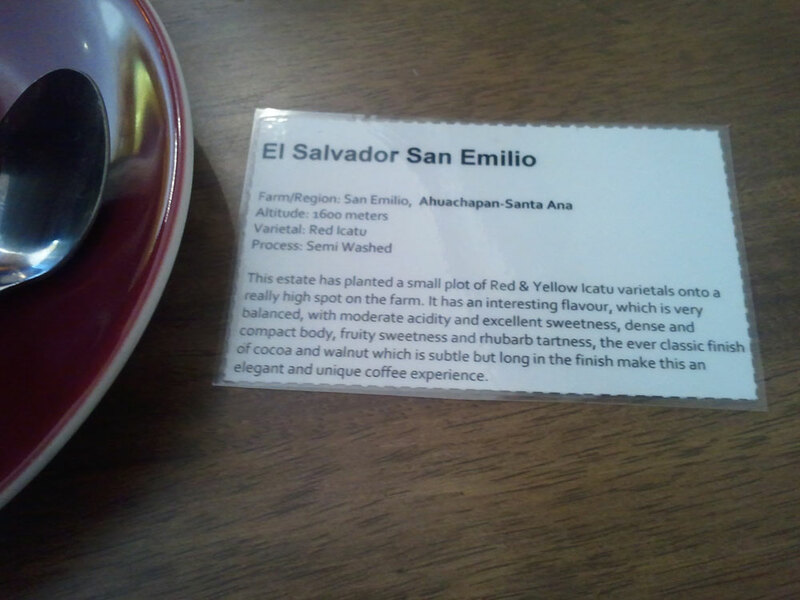 Next was the El Salvador San Emilio. It was different to the Driftwood Blend and had a much lighter flavour, so other elements of the bean came out stronger. Peter took a few minutes to explain the coffee itself and apparently one of the significant differences between this and the other blend was that it’s semi-washed. Apparently this made for a more balanced flavour where no single element overpowered the bean. 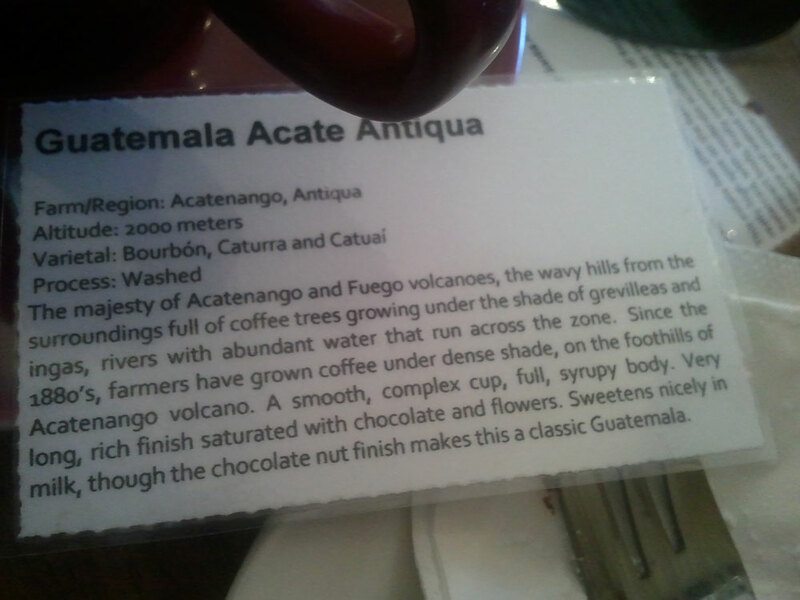 Fortunately this coffee, like the one before, came with another card, detailing what it was, describing its flavours, where it was grown and how it was processed. The last bean I had was the Guatemala Acate Antiqua, along with a small chocolate friand. This was an interesting bean, best suited to a milk coffee, as per the accompanying card, due to its bitterness, but it had some really interesting flavours with it. Again, they are covered very well and in detail on the little card with which the coffee was served. There was one more blend I did not try, and it was their Dandelion Blend. Peter explained that they get two new single origin coffees each week. 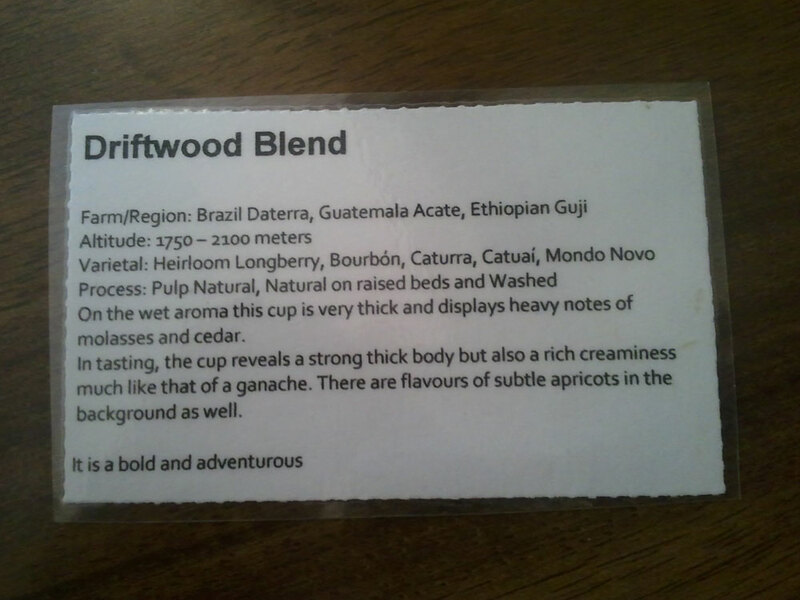 While the El Salvador and the Guatemala beans won’t be there for long (Peter mentioned that there were some Kenyan and Costa Rican beans forthcoming) , the two house blends, Driftwood and Dandelion, will be. Dandelion and Driftwood will have been open for just two weeks on the 24th October, and already it’s very busy. They combine an outstanding product with a great customer experience in a pleasant and convenient location, so this should not be a real surprise. It helps that the cafe is run by people who obviously love coffee and love to share that with the customers, no matter how busy they are.